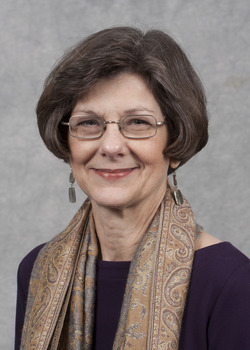 Speaking at Stephen F. Austin State University's third annual Darwin Day program, Dr. Barbara Forrest, former professor of philosophy at Southeastern Louisiana State University, will present "Why Academic Freedom is a Fraud: The Threat to Science Education." The program will be held from noon to 1 p.m. Monday, Feb. 12, in the Kennedy Auditorium. NACOGDOCHES, Texas - Stephen F. Austin State University will host its third annual Darwin Day program from noon to 1 p.m. Monday, Feb. 12, in the Kennedy Auditorium. The featured speaker, Dr. Barbara Forrest, former professor of philosophy at Southeastern Louisiana State University, will present "Why Academic Freedom is a Fraud: The Threat to Science Education." Darwin Day is an annual celebration of science that takes place on or around the anniversary of Charles Darwin's birthday, Feb. 12, commemorating the contributions Darwin made to the field of biology and other scientific fields. "The mission of Darwin Day is to inspire people throughout the globe to reflect and act on the principles of intellectual bravery, perpetual curiosity, scientific thinking and hunger for truth as embodied in Charles Darwin," said Dr. Stephen Mullin, chair of the SFA Department of Biology. Forrest's presentation will discuss the potential conflict in the science classroom between faith-based explanations of life's origin and scientific truths, Mullin said. "My presentation concerns the promotion of intelligent design creationism using the rationale of academic freedom," Forrest said. "I will discuss the history of creationists' use of the code phrase 'academic freedom' to promote legislation that undermines the teaching of evolution." For more information, contact Mullin at (936) 468-3601 or sjmullin@sfasu.edu.